Give something and get something extra! No, it is not about bargains in a store but a bargain – if one may call it that – in a relationship, especially in a marriage. For that matter, any relationship can thrive only when it is one of give and take. The beauty of it is that when one gives more, one gets far more in return. This is more so in the relationship between spouses with the bond becoming stronger as they grow older. As my friend from Israel once remarked about youngsters these days, ‘Sometimes they get married after living together for five or six years harmoniously, and then divorce within a year of being married!’ We discussed about the whys and wherefores at length before she shook her head and said, ‘They lack tolerance — this generation’. I shook mine in agreement. Like the L&M and me, she and her husband have been married for 40 years and like all long married couples, has gone through the thick and thin of life learning in the bargain to live and let live, albeit not without tiffs and fights – big and small. I never tire of telling (anyone who would listen, that is!) that I deserve a Nobel Prize and an Oscar and all the top awards besides in sundry fields, because I have tolerated all the idiosyncrasies and exasperating habits of the L&M for so many years. Of course, I add in the same breath that only he could have put up with my quirks and annoying habits! The L&M and I have nothing in common, except the brats of course, but then they look like HIM! But I would not exchange him for any Mr. Perfect in the world. Who, but he would put away the washed vessels — a chore I heartily dislike – every single day? Who again, but he would never find fault with me for making some blunder, glossing over it to make me feel better? Who but he would patiently grate ginger for and make tea for me, even if he doesn’t drink tea in the morning? (It is another matter that he would crib about it every day). I tell him not to make my tea if he hated it so much, but he would still do it because I simply need my cuppa when I wake up and he likes to see my happy face. So when I need to cook three different kinds of vegetables because he loves them and can’t resist buying loads of them every day, I do it with a lot of grumbling. But when I see his face light up at the sight of the dishes, I feel good, even if I have spent two hours in the kitchen. That’s what doing things for each other means. We do them to see our spouses happy. Ever wondered how the earlier generation managed to bring up so many well-adjusted and happy kids? Our mothers didn’t demand equality – they were equal in more ways than the women of today can ever imagine. Come to think of it, marriage is hard work. And it can NEVER be a 50:50 relationship, even when the partners claim that it is. You can’t divide housework equally; you can’t divide responsibilities half and half and you can never divide compromises made by each other equally. The ratio ranges from 60:40 to 95:5. While the former is an ideal situation, the latter is an abusive relationship, with one very submissive partner. And mind you, though the submissive one is largely the woman, even men are the victims in many cases. But social conditioning and other factors make them silent sufferers since any publicity would only make them the object of ridicule and not sympathy or pity. The reason we find so many unhappy couples today is because their egos are hurt if they make any compromise or give in to the other partner — however trivial the issue. ‘Why should I give in?’ they demand. I agree that one shouldn’t give in if the demands are demeaning, unreasonable or outright cruel. But when they are a matter of just simple give and take, what is the harm? Why make a big deal out of small things? If one were to go by the kind of complaints one hears from spouses, one is shocked. The issues in question are ‘not worth a pinch of salt’, as we say in Tamil. It is so easy to start a fight over trivial things and then turn them into battles of ego which blow up in a couple’s faces before they know it and are standing in opposite cages in front of the judge in a divorce court. Whether it is an arranged marriage or love marriage — including one where the couple has lived together before their marriage — a sense of déjà vu sets in once the honeymoon is over. The new environs, the added responsibilities and being on their own/with their in-laws – all bring in their own set of adjustments and compromises, which they are loath to address. Ever tried doing any of the following? He likes to meet his friends once in a way and you happily tag along, even making your best efforts to enjoy it without commenting about them adversely lest he feels hurt. She likes to unwind by shopping and you accompany her enthusiastically even though there is a crucial football tie on the TV and you don’t breathe a word about it to her lest she felt guilty for dragging you away. Invite her parents over for a fortnight because she wants to be with them, even when you are neck-deep in a project. And then you politely listen to the old man’s boring conversation and exclaim enthusiastically at her mother’s cooking when you are hard pressed for time. Go out of the way to be nice to his sister whom you are not too fond of, because he dotes on her and you love the look of happiness on his face. Go on, substitute your own situations here and make a list, marking each as A (felt good) or B (Felt lousy and put upon). Don’t just stop at making the list. Carry out the tasks. When the As outnumber the Bs, you have a happy spouse and a happy spouse means a happy family and we all know what that means, don’t we? Don’t be surprised by the reactions. They sometimes can be more pleasant than you dreamt of in your wildest dreams. Marriage is not about one-upmanship or about controlling each other. Give some, get some and if required, give some extra. It is this extra that the spouses give each other which makes for enduring relationships and happy marriages. A version of this post, A Speical Day, A Special Post, was originally published on Rachna Says on the occasion of her wedding anniversary some years ago. She is a dear friend I have made in the blog world and it was a pleasure doing this post for her. Another great post, Zephyr! I think besides the Nobel and Oscar and all those other awards, you also deserve a special ‘relationship blogger’ award for this post 🙂 I enjoyed picturing you cooking three veggie dishes and L&M grating the ginger for your chai! Such a perfectly cute couple you make. Thank you so much Shaivi! This rule applies to all relationships that are close and mean a lot to us. And it is so easy to break a bond while it is a gargantuan task to nurture one. I thought as if I was reading about me and us, i.e. me and my husband. I do all the things you have listed and he does too! Esp.after retirement clearing vessels and making coffee in the morning and evening is his job…well…he took over, sort of! I think I have written in my post about ‘how I got married’ that our taste about music and reading was nearly common. He was, not is, very very short tempered until some years back but has mellowed down now. My sister says that I talk like him a lot…I think after so many years of marriage this happens with couples. 44 years of marriage! Once he said that he wanted to turn the clock back, just to erase the negative things in our marriage and I don’t think I will ever forget it. Well…I would be happy if the current generation thinks about the plus points of the spouse also while brooding about the negative points, the marriage will definitely survive for a long long time. Enjoyed reading this post of yours, Zephyr! Very relevant! That is such a sweet post, and I only wish other couples saw their relationships the same way too. The division of labour to be half-half may not be possible but it shouldn’t be a large ratio either, which is the case in many households sadly. Loved this inspiring read. Thanks Dashy. Except in abusive relationships, often all it takes is a firm stand on things before the partner complies. All said and done, every couple has to work it out for themselves. This was such a beautiful one and so true! Especially the line about how our mothers knew what the sense of equality meant. I wish more of this (my) generation’s women understand and internalize this sentiment. What a lovely post! I discovered that when our expectations of anyone in any relationship make us feel let down, what is really happening is that we have failed to make that person into what we “expect” from them. Accepting them as they are but yet loving them is very difficult at first but gets better with time. Keep writing! I don’t recollect reading this post. 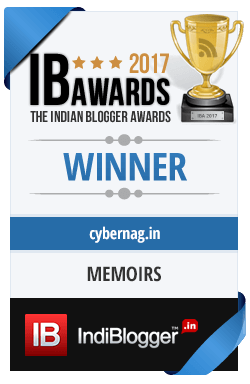 Maybe it was long before I knew you or Rachna or before I entered blogging. Lovely and cute post 🙂 can’t agree more with what you said…of course, you are wiser than anyone I know when it comes to explaining about relationships 🙂 I completely agree with the tolerance part. these days there is rampant feminism and i dunno what this mania is all about.whenever i go through social media,i see words like AM A FEMINIST AND ITS MAN’S WORLD,BE BOLD FOR CHANGE.these women are killing culture without understanding culture.in past ,women and men lived comfortably without these activist voices looking for attention. current generation men and women lack culture so divorce rate is high.if a girl wants to convey something to her husband who lives in the same house,she tweets on her twitter handle to convey her displeasure.i don’t understand what kind of world do we live in.these days relationships are like tweets limited to 140 characters and they don’t extend beyond that. its really hard to find a girl or boy like in past with culture/character.i came across a working woman on twitter who complains everyday that her kid upbringing is burden.why to have kid if you don’t have patience.people end up with divorce when they do things without planning.i really really hate feminists and they are very unpleasant and very superficial. Feminism in its true form is needed today, as it was needed before. This post is about sharing, compromising, making adjustments in one’s lifestyle, looking inward and more – all needed for good relationships. Thank you for sharing your views, Rakesh. I had never thought I could write a post in a day! Least of all a guest post, but thanks to your confidence in me, I did too 🙂 Wisdom comes with hard knocks and trial error, provided one perseveres. We all evolve our own ratios of work division and minor and major adjustments over time, but unfortunately many couples don’t have the patience to stick it out. Really enjoyed this post for the exact reasons you’ve mentioned above 🙂 My husband and I will complete 16 years this May and I am glad to say we’ve grown together as a couple from saying ‘I don’t think we are compatible’ to progressing to ‘You know, you’re not that bad.’ Now there’s a sense of cozy comfort I can’t feel with anyone else. We’ve grown into each other and it’s a pleasure, simply a joy to be able to see each other’s face in the morning. He’s a fabulous cook, a wonderful dad and has a sense of humour I’d give my right arm for, if I could. ← Spare me the jargon please!